i woke up uncomfortable and tired, but nothing out of the ordinary for being largely pregnant. i spent the day taking care of niels, doing chores around the house, and setting up appointments and plans for the next few days. 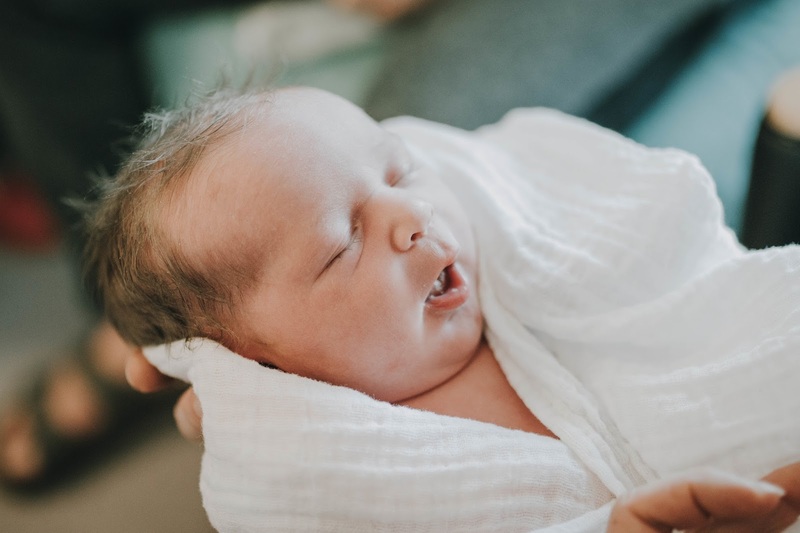 in my head, baby girl was coming on friday (or wednesday night at the earliest because i had heard rumors of full moons sending women into labor...haha), so i had to get everything in order over the next few days. by the time nielsy went down for his nap, i was in full-on zombie mode from late night netflix binge-watching the night before. so instead of showering and getting ready for our doctor appointment, i took a nap as well. when i woke up, i scrambled to get dressed, quickly said hi and bye to my mom who had come over to watch nielsy. and gave niels a quick kiss goodbye. nicolaus and i ran an errand at the post office, and were making plans to go grocery shopping after my doctor appointment, then making it home in time for me to be on a work call that evening. so we get to utah valley hospital and check in for my non-stress test (i had been getting them because my doctor was concerned about my high levels of amniotic fluid), expecting it to go how my past 3 or 4 ones had gone...they'd check mine and baby's vitals, and tell me my amniotic fluid levels were higher than normal, so to come back again to keep an eye on them. but things went a bit differently this time. so when the doctor at the hospital, recommended that i go get induced and deliver my baby right away, i knew that was probably what i needed to do. 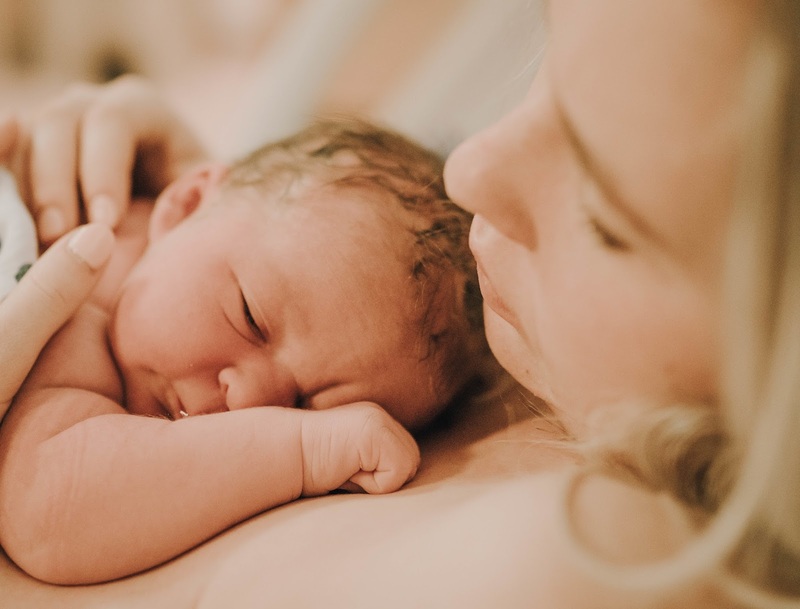 but it didn't mean that i didn't take a few minutes to panic, and feel totally thrown off, unprepared and overwhelmed to have my baby right then. i just needed a minute to cancel all my plans for the next few days, go home, shower, say a proper goodbye to niels, and drive to orem community hospital. which was where i delivered niels, and was planning on delivering this baby. so i was even further thrown off, when the doctor at the hospital relayed what was going on to my doctor, and i talked to him on the phone, and he advised that we change our plans of delivering at orem community, and immediately walk upstairs and deliver at utah valley. so as nicolaus and i were checking in to labor and delivery, we were making all sorts of calls/texts. we were letting our family's know what was going on, cancelling dentist and dermatologist appointments, letting my boss know that i wasn't going to be on that work call that evening...ha, and i had to rearrange the plans for a photo shoot i was supposed to be helping with on wednesday, etc. etc. we checked in, and i was seriously regretting not showering before my non-stress test, because who wants to start out labor feeling grimy? haha, so the nurse said i was okay to shower there quickly, before we got anything started. and it was so nice to have 10 minutes in a hot shower to gather my thoughts, and come to terms that even though things weren't going according to plan, that everything was going to be alright. which nicolaus (who's much more flexible than i am) was saying all along, but i needed a minute to myself to fully believe it. plus, it helped that my parents, our nanny, cheyenne (who was supposed to be trading off niels with my mom at 4), niels, and nick's parents all showed up at the hospital, and were able to hang out with us for a bit, and bring us dinner. and i got to get a few cuddles in, and was able to say a more proper goodbye to nielsy. so i was hooked up to an iv (ha, honestly probably my least favorite part of childbirth), and they took my blood. then before they gave me the first pill, they told me to walk around for a minute, and use the bathroom now because i wouldn't be able to for at least an hour after they gave it to me. so i did that, and nicolaus and i had a minute to ourselves to chat and take one last belly photo, and enjoy the calm before the storm. then when they checked to see if i had progressed at all, before giving me the pill, i was pleasantly surprised that i had dilated to a one! it made me feel like my body was actually ready to naturally go into labor. and that's when things really got interesting. after the 1st of what they thought would be 3 pills, my cervix was effaced enough that i didn't need the 2nd or 3rd pill. and i can't remember for sure, but i thiiiink this is when they started me on a super low dose of pitocin. it was the middle of the night at this point, so it was a bit of a blur. 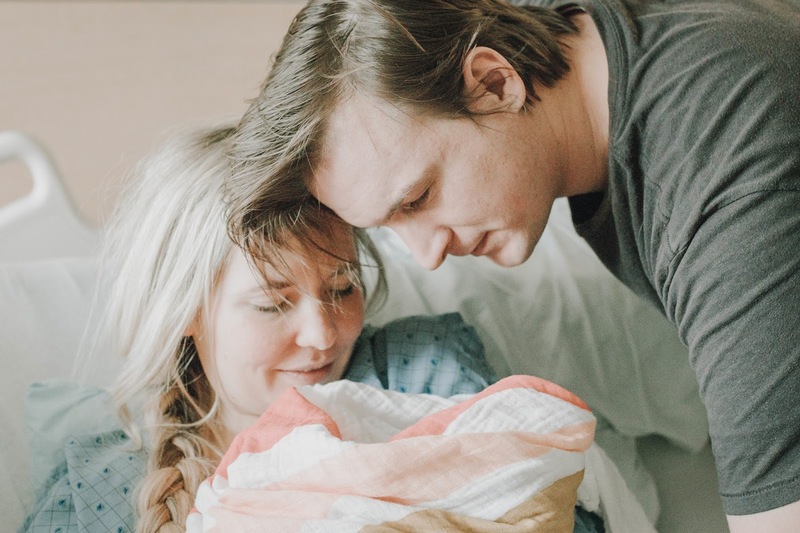 they told me i could get an epidural at any point, but i wasn't quite ready to be bed ridden, and i didn't want to be on it for as long as i was with nielsy, so i said i would wait until things revved up a bit, and the contractions got less bearable. so nicolaus and i dozed off, hoping to get a few good hours of sleep in. i woke up after about an hour of restless sleep to a really strange and really strong popping sensation. astrid was a super strong kicker in utero, but there were two distinct pops that felt distinctly different than her kicks. i waited for a minute, debating whether or not to call my nurse in. but nothing changed, and i could hear nicolaus snoring so soundly beside me, that i thought i should maybe just try to fall back asleep. then at the exact moment that my nurse came through the door (she had seen my contractions were getting stronger, so she came to check on me), i started leaking a little fluid. ha, so i told her, "i think i'm leaking..." and she replied with, "oh, let's see if your water broke!" she checked, and it had! then the leaking quickly turned into gushing. haha the doctors had not been joking when they said i had a lot of amniotic fluid. it was a strange, but also relieving, sensation as fluid uncontrollably streamed out of my body. and my nurse was awesome, and went through swapping out at least four towels under me to catch it all. 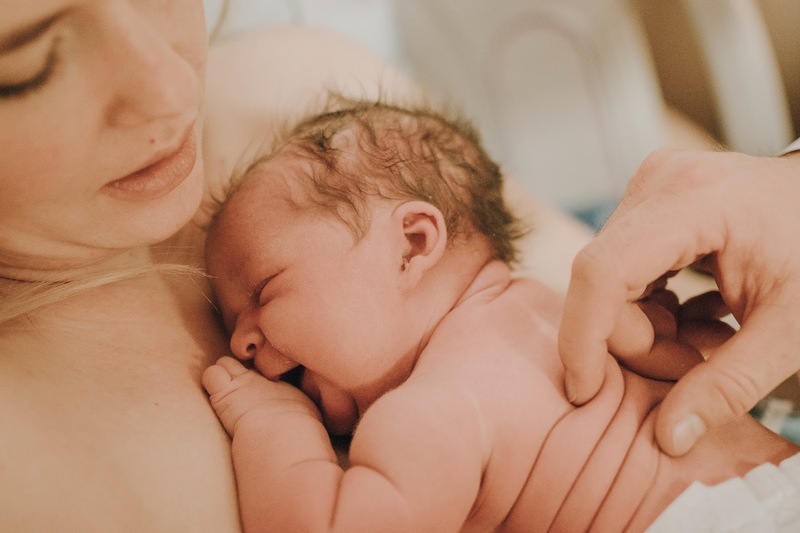 she said it was time to check if my cord had fallen out, and i was so terrified that it had, because the thought of an emergency c-section was so scary to me. i was praaaaying that it hadn't, and beyond relieved when she said that it hadn't! and the likelihood of it happening at this point was slim, because baby's head was so firmly pressed down on my cervix. i was beyond grateful, as weeks of anxiety just melted away. i knew things would speed up now, so i told her i was ready for an epidural, and she went to get the anesthesiologist. at this point, nicolaus was waking up, and before i could even give him an update, another gush of fluid started flowing out, and he says he could literally hear what sounded like a river of water, from across the room. haha it was the strangest sensation, and crazy how much smaller my belly immediately felt. my contractions quickly changed from strong, but bearable, to much stronger, and muuuch less bearable. i was really looking forward to that epidural, remembering the relief i felt when i got it with nielsy. 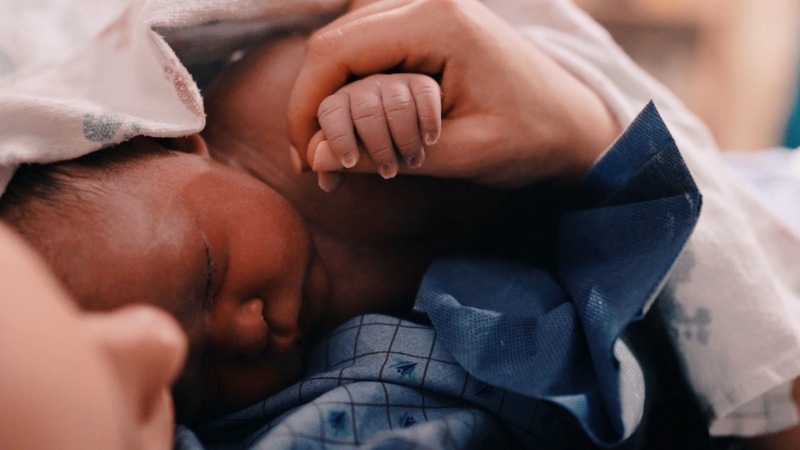 when the anesthesiologist got there, i did everything in my mental power to tune out the fact that he was shoving a giant needle up my back, and clung to the thought of the relief i was about to experience, and the fact that i'd be meeting my baby soon. well, the relief didn't come. the contractions just kept getting stronger and closer together, and it got to the point that it literally felt like i could feel my pubic bones ripping apart. my nurse even commented that the lack of a resting period between my contractions was a little crazy. she kept telling me to hold tight, and the epidural would take about 20 minutes to kick in. 20 minutes came and went, and at most i felt a sliiight tingling in my toes. i could feel every little bit of labor, and still had total control over my lower body. our nurse, nicolaus, and i were all a bit shocked that the epidural just wasn't working. luckily, i had a few hypnobirthing tricks up my sleeve, and just clung onto every practice i had learned about laboring naturally. i also became a true believer in the power of oxytocin at this point. you hear a lot about how these "happy hormones" can be released simply by the touch of a loved one, and can help block out pain. and the only thing that seemed to lessen the pain was by squeezing nicolaus' hand, and having his forehead pressed firmly against mine. it brought this crazy sense of calm, and ability to breathe through all the discomforts. nicolaus also had my birth playlist playing for me, and i clearly remember "awake my body" by alex ebert coming on, and i just tuned into every word and sound of that song. and i swear it made me able channel every hippy/zen bone in my body, and just let my body do it's thing, and just cruise through all the crazy sensations happening. and when my nurse checked my progression, i had dilated from a 4 to a 9 in just under 45 minutes. and that's about when i started getting the overwhelming desire to start pushing. 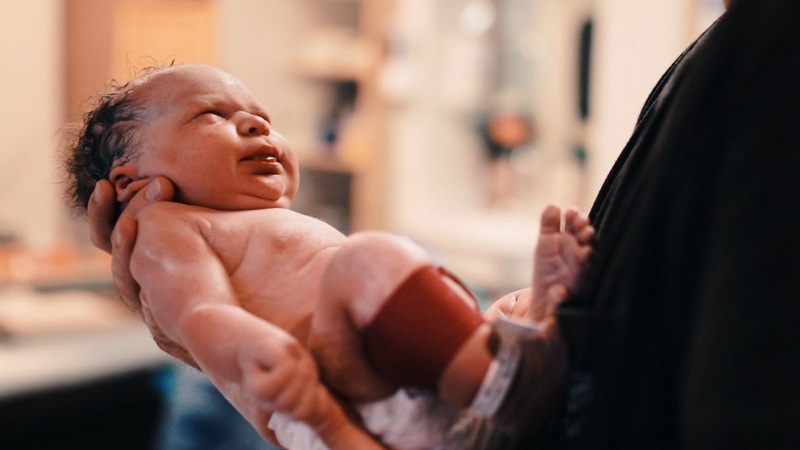 at this point, i was resigned to the fact that my epidural wasn't going to work, my doctor wasn't going to get there in time, and neither was our videographer. haha, i just kept repeating, "she's coming guys, she wants to come. i need to push!" and my nurse told me, "don't push yet, the doctor's almost here!" my nurse also decided to give me another starter dose of an epidural, since my original starter dose, plus a few boosters, still weren't doing a thing. and then it seemed like all at once, the new dose of epidural kicked in, my doctor showed up, as well as my videographer. and it was time to start pushing. the problem was, that this epidural was so effective that i had ZERO sensation in my bottom half. every time my doctor told me to push, i had no idea if i actually was, because i couldn't feel a thing! no painless pressure like i had with niels. just nothing. no sensation. and i was trying to push, but it just wasn't working. it almsot made me wish that i would have just continued with the ineffective epidural. astrid was just kind of stuck in my birth canal, because i wasn't pushing effectively. they gave me an oxygen mask to help me get deep breaths to push, but that didn't help enough. so they ended up vacuuming her out. 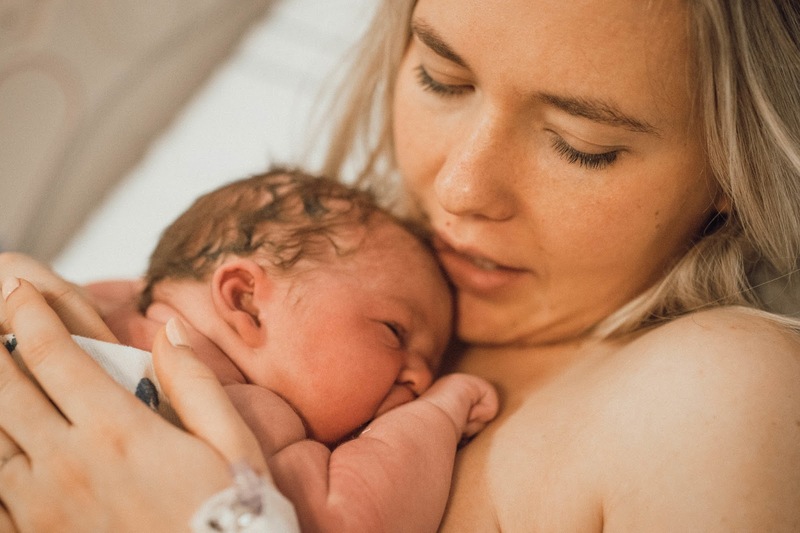 all in all, i was only pushing (or trying to) for 8 minutes before astrid zo moller was born. she was born at 2:40am on tuesday, january 29th. a week and a half before her february 9th due date. they passed her to me, and because i didn't hear her crying, and was still a little traumatized from niels' birth, the first thing i asked was, "is she breathing??" my doctor reassured me she was, and i felt another wave of relief wash over me. i was shocked by her loads of dark, curly hair, chunky, chunky arms, and long fingers. it felt so blissful to be holding my healthy baby in my arms after such an uncertain, and worrisome pregnancy. she started nursing almost immediately, and we spent a pretty peaceful day and a half in the hospital with her. it was so different from our hectic stay with nielsy, and it felt wonderful. she did end up getting jaundice, and had to spend a few days and nights on uv lights, which was a bit stressful between all the bilirubin tests, and her hating sleeping on the lights. and it so hard to not be able to cuddle her constantly. but it was just for a few days, and now she's healthy and we're all so, so happy. it's mind blowing to think that just a few weeks ago, i couldn't quite imagine what life would be like with her, and now it's impossible to think of life without her. 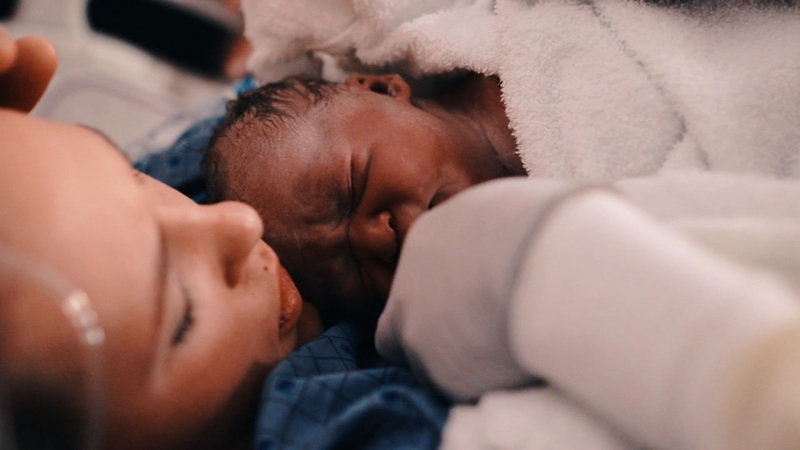 the photos above, and her birth story video below, were taken by the lovely @savvyfilms.